While companies continue to do interesting and beautiful vehicle interior concept work, a wide range of new configurations for accommodating vehicle occupants remains to be explored. As we move towards an new era of Automobility driven by autonomous technology, how might we work or socialize in this new era when we no longer have to be as attentive to the demands of driving that we face today. Take a closer look at a few explorations via IDEO’s Future of Automobility point of view series. 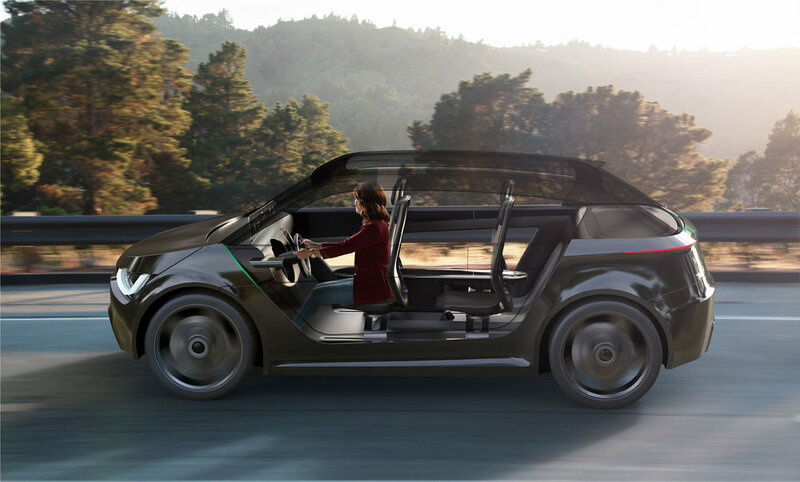 Capturing New Productivity - How might we design future vehicle interiors that empower occupants to work or connect with others while en route? What might happen to the affordances for manual driving and how might that transition take place? Work or Play - New seating configurations enhanced by new forms of ambience that allow for more natural social interactions will evolve as Level 5 autonomous systems become available.